But, put better controll to ships, effect like lights strobe and exaust and more cameras...just it! I am anticipating the release of The Stanley Parable HD Remix. How does one improve upon perfection? Remake it. 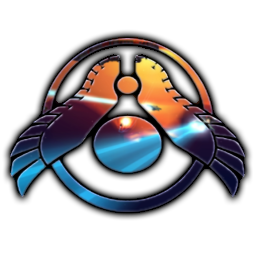 Out of curiosity, are there any Homeworld fans on the forum? Imagine a game where you can do just about everything. A game in which the possibilities and styles of play are as unlimited as your own life's possibilities. You can create your own survival skill, strategy and fighting styles, houses and cities, anything you imagine. Now imagine all of this on a procedurally generated map the size of Earth! Well, that may be about to come true because it is what The Universe Project aims to be. "We're creating a virtual parallel universe, a universe simulation that is played like a game. Play it anywhere on your phone, on your computer, tablets. Invent new tools, structures and even skills to use in their survival against the elements and against other players. " So, what did you think of the idea? Is it possible that one day a game has so many possibilities as life itself? I do not know about you, but I find it most interesting. Since all the options are options in life itself, no. MrZombieBiscuit, there is already a game thread here. There is no reason to create a new thread for every new game project that is announced. It certainly is ambitious. I'll wait until I see more before I take it seriously. (Sorry Kyle) I'm creating a new Planetside 2 outfit on Jaeger server- PM me and I'll log in to add you. I'm logged in as of this edit, but will be getting off soon. Those creatures wouldn't possibly be able to walk normally on our planet right? They must've evolved on a planet with huge gravity. Our high gravity should make it unbearable. I initially thought so, but scientists predict that life, living on a higher mass body tends to evolve large and thick, because they need a lot of strength to push up against the surface. While low gravity would cause life to evolve small and thin, to smoothly move over the surface. Since it's harder for life to push up against the surface, it's harder for them to grow larger since it would take much more energy to move around against the high gravity. If humans evolved on a planet with high gravity, we would be shorter. Low gravity would be much less restrictive, and humans could grow taller. In the movie, the creatures are GIGANTIC! It would take gargantuan amounts of energy just to move around slowly. On a home planet with low gravity, they'd be doing just fine, and would be collapsing under their own weight as they arrived. We'd have no problem blowing them to bits. If their home planet had very high gravity, it's unlikely they would have evolved to grow so big- they would require too much food. Arriving here, they might have trouble adjusting to the lower gravity because they would have to get used to using much less strength for jumping and standing. They would have a hard time finding enough food to survive unless they started eating each other. Let's not forget about the negative effects the lower gravity might have on their health. Because they are using their muscles less, they will get weaker. Combined with a lack of suitable biomass for food (aside from the cannibalism they would have to graze forests, like a cow eating grass, I doubt that would be good enough) they're likely to get some kind of disorder. We'd probably end up building underground shelters and waiting it out while they kill each other in anarchic fashion. If we have the technology to build the giant robots, than surely we can build some colossal underground shelters in some remote place and get as many people there as possible. This is just a summer blockbuster; I doubt they considered all this in the first place. Okay. TRON legacy was awesome... I really want a decent light cycle game, with good graphics, and the official games aren't really that great- they don't offer a good old fashioned light cycle grid. What I really want is a lightcycle game that works similar to the film, where lightcycle movements are more fluid. I suppose I'll never get that... so what's the BEST Tron lightcycle game (with good graphics- it's 2013, people)? Episode 3 should have been this: You wake up a minute after the end of episode 2. Sure enough, white forest is under attack, and that helicopter has been damaged from when the advisers attacked Eli. Now, you're going to have to go on foot, once again. Kleiner and Magnusson are being evacuated with other scientists, and they're high priority. As always, you and Alyx are going to have to go on foot. Turns out there's a small base further up north. The plan is to meet there. Once again, you're going through the woods, avoiding the combine. People tend to forget how much Half-Life games consist of simply going from one place to another. There's opportunity here for Valve to include some interesting locations between WF and the smaller northern base. Between white forest and the base, there's a gradual transition to a snowy tundra climate. Finally, you arrive at the base- this is about 1/4-1/3 of the episode. Now, I've reached the point where there's some new plot development, so the ball's out of my court at this point. What I can say, is that whatever happens from here should be pretty significant- it should probably involve some revelations on the G-man. I'll have to assume that between the time Eli first tells us he knows about the G-man and the time we see him in the Launch control room, he must have mentioned this to Kleiner, and maybe even Magnusson, allowing them to give us some more information on who the G-man is. Half Life 1 and it's expansion packs all take place around 200x during the BM incident. HL2 and it's episodes all take place during 202x, a couple decades later. It's then logical to assume that Half Life 3 should take place in a different environment all together. That's why I think EP3 should be when the info/identity of the G-Man is revealed. Killing of Eli was a huge mistake- he should really be the one to tell us this in EP3. If Half Life 3 is indeed to be set years ahead of HL2, then something will have to put Gordon into stasis again, and the only thing that could do this is either the Gman, or some kind of teleportation technology. OR... since it's silly to think they would release episode 3 six years after episode 2, you could assume that once Gordon is unconscious, we encounter the G-Man right there and then. From that point on, it's all up to Valve. Where's SE.97? I'm declaring both of these things vaporware, even though it would be unfair to say this about .97, even though fans of the program have literally waited months for it's release- yes, months!!!! I'm quite sure 0.97 is muuuuch closer to release than HL3.